This is my contribution to April's #LetsLunch Twitter Party on the theme of eggs. I got a bit mixed up in the Which Came First, the Chicken or the Egg riddle, but there are eggs in here if you have the patience to read it. When I last wrote about mayonnaise, I described a fish stew with red pepper aioli and my husband's Proustian childhood treat ~ pound cake slices spread with mayonnaise and pan-fried. At the time, my new foodie friend Pedro commented "mayonnaise is the noblest of all emulsions!" Two years later, I still consider that a great comment because it touches on how Southerners feel about the French-by-way-of-Spain sauce. It's omnipresent, particularly in the sandwich realm. It's the glue that keeps my minner cheese together, the binder for the tartar sauce that augments our Friday fish fry, the finishing touch to my lunchtime ham and cheese sandwich. Mayonnaise wasn't always the ubiquitous sandwich spread. Time was, another egg-based spread was whipped up for sandwich- and salad-making, boiled dressing. 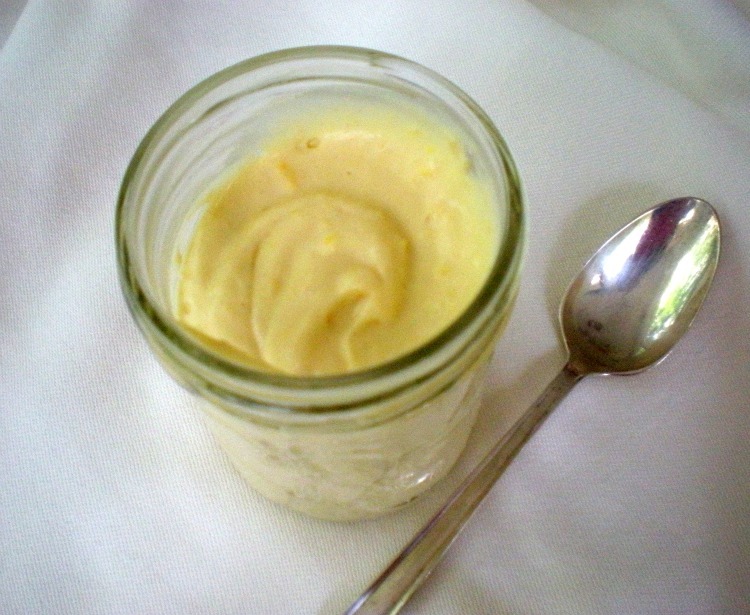 This old-fashioned sauce is similar to mayonnaise - it uses egg yolks and a tiny bit of mustard for flavor and thickening, but whereas mayo relies on oil and a prayer to emulsify, boiled dressing adds flour and cream, caressed with a finishing swirl of butter. Mayonnaise is only slightly acidic, but boiled dressing will pucker your mouth with the tang of cider vinegar. If mayonnaise is the noblest of emulsions, then boiled dressing is the tarted-up, some might say eccentric, Aunt Flossie brought out for non-public family occasions. Non-public, because by today's standards, it's really a bit of trouble and yields a small quantity. And family because, this is secret recipe kind of stuff, the kind of sauce on which legends and maybe fortunes can be made. Boiled dressing is properly made in a double boiler, and it's sometimes called cooked dressing. As in Cole Slaw with Cooked Dressing, or Potato Salad with Cooked Dressing. I prefer boiled dressing on that staple of the Steel Magnolia circuit, chicken salad. 1. In a skillet with a lid, set over medium heat, place chicken breasts and just barely cover with water. Add salt, lemon juice, and fresh ground black pepper. Let water come to a boil. Cover with lid, set heat to low and cook for 15 minutes. After 15 minutes, use a fork and knife to determine doneness of the meat. If meat is still pink, cover and cook for an additional 5 minutes. Repeat as necessary until meat is cooked through. 2. Remove chicken breasts from broth (which may be saved for another purpose). Let cool enough to handle comfortably. 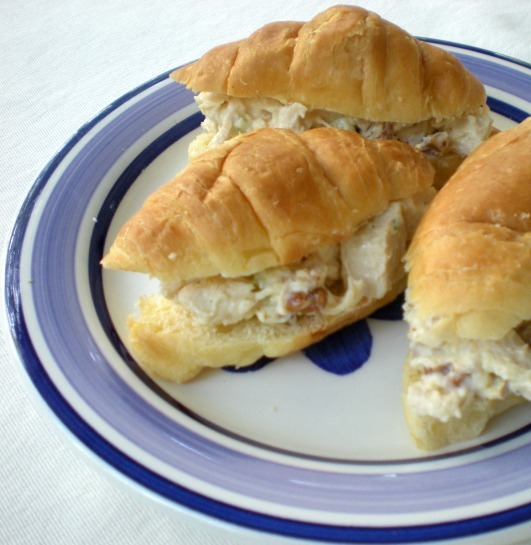 Chop into smallish bites for chicken salad. And here's something I like to do before I mix together the chicken salad: I sprinkle a teaspoon or two of good-quality red wine vinegar over the chicken, and maybe a 1/4 teaspoon salt, just a tetch. 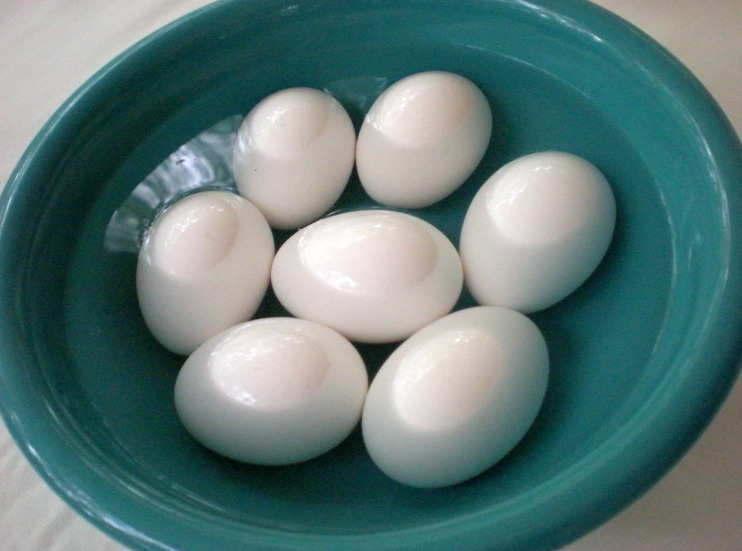 Favorite tip for bringing refrigerator-cold eggs to room temp: place in bowl of warm water. Lucy Mercer/A Cook and Her Books. 1. Place a double boiler on stovetop over medium heat. Fill bottom with enough water to just touch the bottom of inset. Let water come to a gentle boil. 2. Add dry ingredients into top of double boiler, whisk to break up lumps. Gradually whisk in water. 3. Add the egg yolks and vinegar and continue stirring. Let cook for at least five minutes, continually cooking. When mixture is thick, remove from heat and stir in butter, then cream. Season to taste, adding salt and pepper as needed. 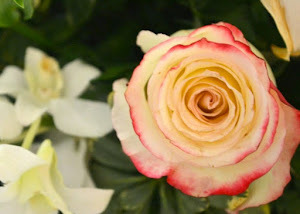 Ladylike cooks will add white pepper so as not detract from the creamy yellow sauce. I think white pepper tastes like soap, so I leave it out. 4. Let sauce come to room temperature. Use immediately in a recipe or store in a tightly covered jar in the refrigerator for up to 3 days. 1. Toss together chicken, celery and onions. Add boiled dressing and taste. Add mayonnaise or sour cream, stir together, then taste. Adjust seasonings and dressing. Stir in chopped pecans. Serve. 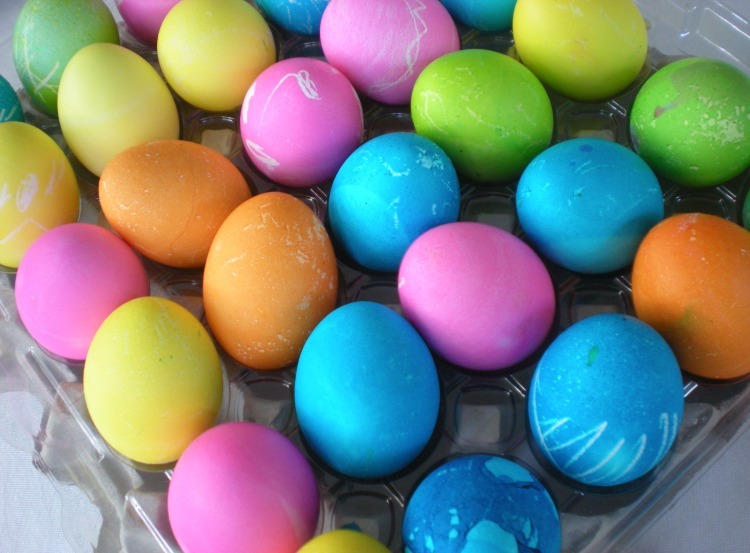 Love those tie dye eggs but 10 dozen, wow! You've inspired me to use cold roast chicken to make salad with pecans. Happy Easter & egg hunting. Gorgeous eggs! Happy Easter and egg hunting, Lucy! Welcome to the club, Lucy! 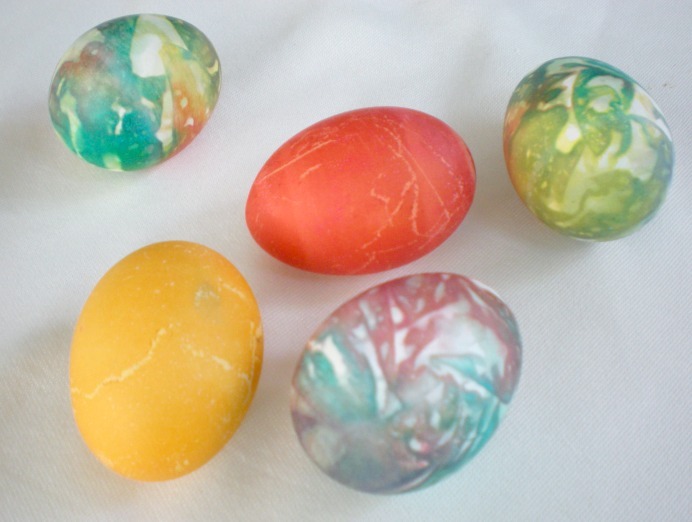 I got so distracted by your gorgeous tie-dyed eggs (how did you do that?) that it took a while to get to your recipe. I've never made or tried boiled dressing; I'll have to give this a shot! I am interested in learning more about joining your #Letslunch group. Where should I go to see how, if you are accepting more members? Hi Michelle K! #letslunch is open to anyone who wants to post about food! @cheryltan88 is the point person. Follow #letslunch on Twitter and introduce yourself. I'm on Twitter @acookandherbook (no "s"). Looking forward to your stories! You had me at "...minner cheese..." . Perfect! And your friend's observation on the beloved status of mayonnaise here in Southern kitchens? So glad I found your blog, thanks to LetsLunch. Your eggs are lovely. Nice rumination, Lucy -- Thanks for sharing. As a Southerner by birth, I miss me some boiled dressing and need to remedy that, pronto. Appreciate the nudge.